While in 2018 we got to see many brands shine like never before, another brand which released back to back phones in India is Honor. The Huawei owned sub-brand is right now riding on the wave of its 8-series of smartphones. 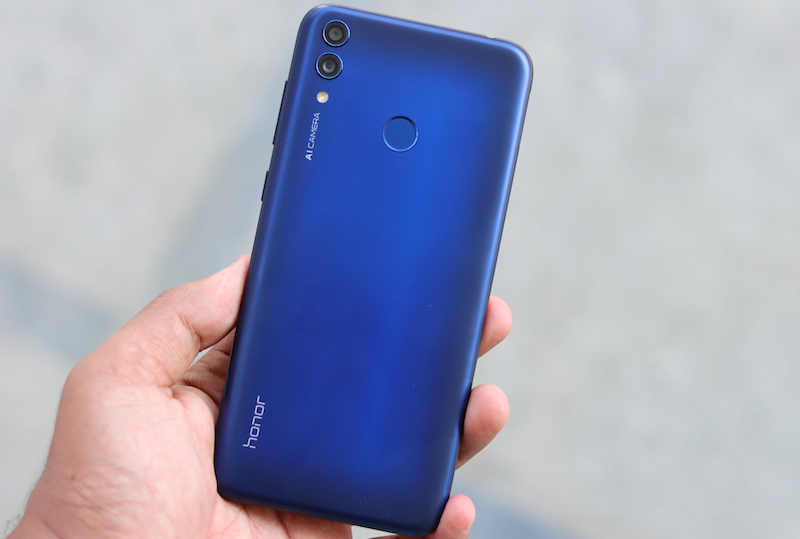 Last month, Honor launched the Honor 8X in India, and now in November, the brand furthered the line-up by introducing a more affordable variant of the phone, the Honor 8C on Thursday. We had the opportunity to get a hands-on of the Honor 8C and do a quick unboxing of this phone by Honor. So, read ahead to know more about what the first impressions of the Honor 8C are like. The Honor 8C gives a premium look and feel thanks, but do make a note that it’s constructed out of polycarbonate. 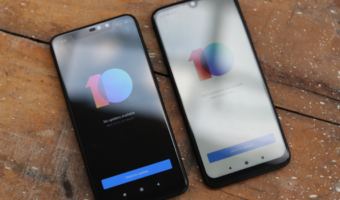 Unlike the other Honor phones, which come with glass design, this one features a distinct design and has been crafted by a single slab of plastic. This phone comes with a blue hue as well, although it is not as shiny as the one we get to see on the glass backs. We get to look at a vertically stacked dual rear camera setup with the LED flash right below it. Also, the fingerprint sensor has been placed in the middle. The Honor branding has also been embossed in white in its signature font vertically on the side. Contrary to the 6.5-inch display we get to see on the Honor 8X; the Honor 8C features a 6.26-inch display rendering a 720 x 1,520 pixels resolution. 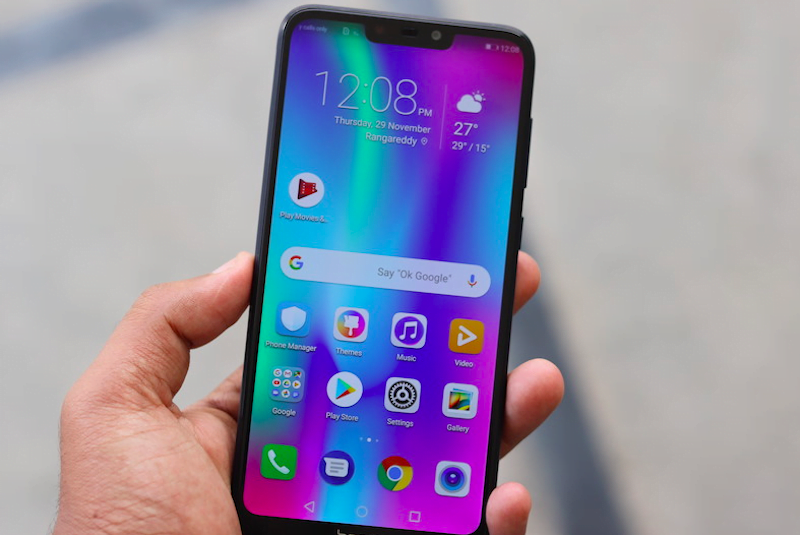 The aspect ratio of the screen is 19:9 and there is also a notch on top which houses the selfie snapper, LED notification light, and an earpiece. Setting up a comparison between the Honor 8X it is pretty evident that the phone’s screen is not at par with the other phone in terms of brightness and sharpness. However, the viewing angles prove to be good. Another thing which catches the eye is the heavy Honor branding on the lower chin. Apart from that, the device proves to be very lightweight with the dual curved back adding to the ergonomic design. Speaking of performance, unlike other Honor phones which come with the in-house manufactured Kirin chipsets, the Honor 8C features a Snapdragon 632 SoC also making it the first device to sport this chipset. The octa-core chipset which was announced in MWC Shanghai comes with two quad-core Kryo 250 clusters clocking a frequency of 1.8GHz. This setup comes paired with 4GB of RAM. As for the internal storage, the piece we unboxed came with 64GB of RAM, however, in the market, the phone will ship in a 32GB variant as well. There is also going to be an option of expanding the storage with a microSD card. On the camera and imaging front, the phone sports a dual rear camera setup of 12MP f/1.8 and 2MP f/2.4 snappers on the rear end. This one also comes enabled with AI camera capabilities, scene recognition and much more. The area where the Honor 8C comes with an advantage over the Honor 8X is the battery, since this device sports a 4000mAh cell. Right now, the Honor 8C goes against the likes of Nokia 5.1 Plus, Asus Zenfone Max Pro M1 and the Xiaomi Redmi 6 Pro in the Indian market. Being an Amazon exclusive device, the phone will be available for purchase on the e-commerce website starting December 10 with a price tag of Rs 11,999 for the 4GB and 32GB variant and Rs 12,999 for the 4GB and 64GB option. Camera is not charming as expected, rest all are good.